Here’s more big news for Market Square: We are getting a great store called The Tree and Vine which currently has a location in Biltmore Village in Asheville. The Asheville store sells extra virgin olive oil, balsamic vinegars, gourmet foods, and wine, though the Knoxville store will not sell the actual vino, presumably due to restrictions and laws but they will add cookware and kitchen accessories to their inventory mix. According to the owner, the store is going to be located near Tupelo Honey and, though I’m not clear on the precise location, the lease has been signed and they hope to have the store open in June, which is about the same timetable as Tupelo Honey. They were well aware of the pending opening for Tupelo Honey and one has to wonder if this is a ripple effect from the other restaurant announcing their move. If so, it makes the CBID grant look pretty good. 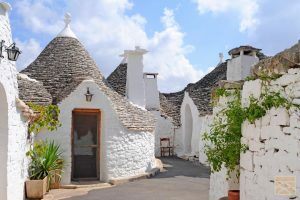 The store focuses on buying the best extra virgin olive oil and vinegar possible from multiple suppliers and they are always searching for better products to present to in their store. 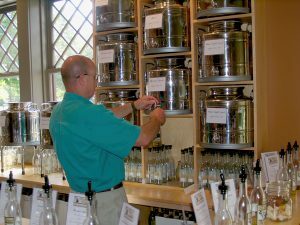 Customers are encouraged to taste the different oils when they enter the store and after selecting a favorite oil it is placed in a bottle from the large vats and sealed with a cork and wine bottle-type foil. Terri and Paul Karlsson, owners try to be environmentally conscious, using recycled paper and offering customers a discount on a next purchase for returning a previously purchased bottle for reuse. The couple have each had successful careers in very different occupations and opened their Asheville store in Biltmore village just last summer. Could it be that we are now only a year behind Asheville in the “cool” department? I’m not so sure about that, but I’m very happy to hear that a new set of products will be offered in downtown Knoxville by a store that seems very much to fit the vibe we are building here.